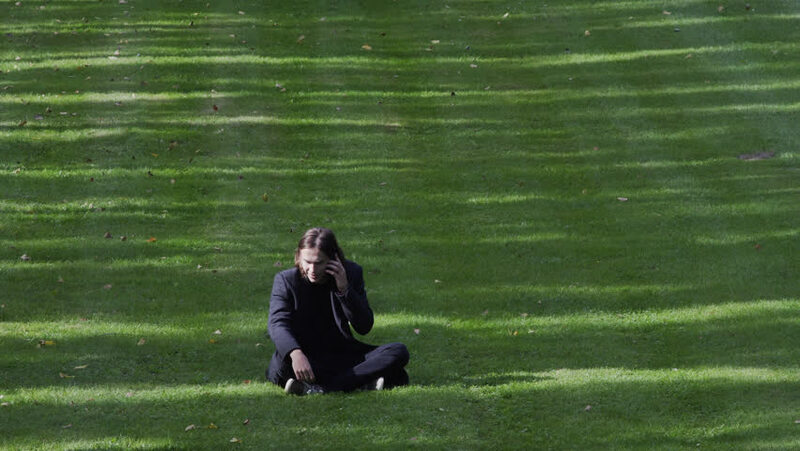 Young Male Sitting On The Grass With His Cell Phone Talking Joyful, Enjoying A Sunny Early Autumn Afternoon. 4k00:18Young Male Casually Dressed Laying On The Grass With His Cell Phone Talking, Enjoying A Sunny Early Autumn Afternoon. 4k00:14Young Male Casually Dressed Walking In The Park Right To Left. He Pulls Out His Cell Phone Having Received A Funny Message, Smiles, Stands And Messages Back. Early Autumn Afternoon. hd00:13Happy elegant woman in black walks through the park in the autumn. hd00:14Photographer takes a photo in the mountains. 4k00:19Young Male Casually Dressed Walking Left To Right In The Park While Messaging With His Cell Phone, With A Serious Expression, On A Sunny Early Autumn Afternoon. 4k00:19Young Male Casually Dressed Walking In The Park Right To Left. He Pulls Out His Cell Phone Having Received A Funny Message, Laughs And Messages Back. Early Autumn Afternoon. 4k00:19Young Male Casually Dressed Walking In The Park Left To Right. He Pulls Out His Cell Phone Having Received A Funny Message, Laughs And Messages Back. Early Autumn Afternoon. 4k00:19Young Male Casually Dressed Walking Left To Right, In The Park While Messaging Something Serious With His Cell Phone On An Early Autumn Afternoon. 4k00:11Alone In The Park. Young Male Casually Dressed Laying Barefoot In Park Looking Troubled And Serious In The Distance With A Little Yellow Flower On His Toes. Sunny Late Summer Afternoon.